People often ask the same question when it comes to natural gas: Is it safe? The answer is a big resounding yes. When you fuel your business with natural gas energy you are fuelling it with one of the safest energy sources in the world. Many hospitals, schools and businesses across the province use natural gas daily without consequence because it really is that safe. Easy to detect even though it is odourless and colourless in its natural state because the smell of rotten eggs (thanks, mercaptan!) is added to it so you’ll know if your equipment has sprung a leak. Lighter than air, and if it leaks, it simply dissipates as it rises into the atmosphere. Hard to ignite and can only catch fire if a leak springs in an enclosed space and the gas mixes with the air’s oxygen at a concentration of 5-15%. Plus, the temperature must be at least 538° Celsius – that’s hot! – with a static electric discharge or flame coming from a socket. Basically, natural gas doesn’t ignite without many contributing factors in play. No, it is not. Natural gas is colourless, odourless and non-toxic. A rotten-egg smell is added to it for your safety. The smell is added so that even the smallest amount of escaped natural gas can be detected easily. Natural gas is transported through a network of gas pipelines that extends right to the home or building that uses it. Natural gas is one of the world’s safest sources of energy. Despite the safety properties of natural gas, it is, of course, flammable and can produce carbon monoxide when trapped in a confined space and there is an inadequate supply of oxygen. You can request a copy of Enbridge Gas New Brunswick’s natural gas Material Safety Data Sheet here. It’s also up to you to put safety into practice. A small investment of time and attention now could result in a safer working environment for yourself and the people you are doing work for. Digging in the wrong spot during renovations could damage the underground network of natural gas pipes, telephone, hydro and cable TV wires, as well as water and sewer connections. This could cut off service not just to your business, but also to the entire neighbourhood. You do not want your usually friendly neighbours banging on your door to demand to know why they can’t watch their favourite shows. Besides missing TV shows, you could cause a safety risk to yourself and others by digging in the wrong spot. 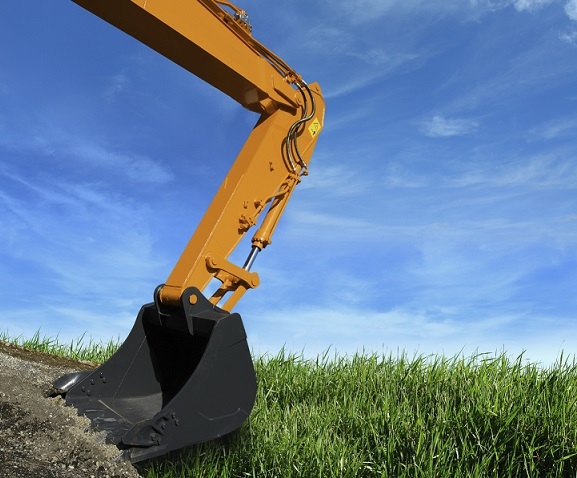 Contractors and homeowners are required by law to obtain the location of buried natural gas pipes before breaking ground. So before you dig, call 1-866-344-5463 or visit ClickBeforeYouDig.com to request a free utility line locate. CO prevents your blood from absorbing oxygen leading to loss of consciousness and, in extreme cases, death. It is slightly lighter than air and would tend to rise up as it enters a space. Unborn babies, infants, seniors, pets and people with coronary or respiratory problems are extremely vulnerable. What are the symptoms of exposure to carbon monoxide? Stale, stuffy air in the workspace. The pilot light of the furnace or other gas–fired equipment keeps going out. A sharp smell of rotten eggs coming from furnaces and appliances. A normally clear blue burner flame becomes “lazy” and mostly yellow or pilot light turns mostly yellow. Check your humidifier settings: if the humidifier is turned up too much, this can also cause moisture build up on windows and walls. Appliances that are not properly maintained. Gas–fired equipment in an enclosed space, which has an inadequate fresh air supply. Using equipment that consumes household/office air. A roaring fire can use up to ten times as much air as a furnace. Natural gas appliances that are properly installed and maintained should not release carbon monoxide. Call Enbridge Gas New Brunswick for free emergency service, 24 hours a day, 7 days a week at 1-800-994-2762. Leave the house/business immediately, leaving the doors and windows open. Call Enbridge from a safe distance. Call Enbridge Gas New Brunswick. Keep clear of the area and keep doors and windows closed. Do not attempt to put out the fire yourself and never use water on burning gas. Do not turn electrical switches or appliances, etc. on or off. Do not use a cellular telephone. Do not start any motors or motor vehicles. Do not use lighters or matches or smoke. Do not use your telephone or cellular phone. Call from a neighbour’s or nearby business’ phone. Do not turn any electrical switches, appliances or computers on or off. Do not start any motors or motorized vehicles near the gas leak. Please provide your account number printed on your gas bill, or your service address, and describe your concern to the customer service representative. If you are calling on behalf of the business owner or homeowner you are doing work for, get their account information ready if possible. If required, a service technician will visit the home or business to evaluate and make safe the problem. When they arrive, ask to see their Enbridge photo ID. If you have any doubts, call us before letting that person into your home. If you, your plumber or contractor need to clear a blockage in a sewer service line beyond the outside wall of a home or business with rotating or water jetting (flushing) equipment, it is extremely important to obtain a natural gas line locate BEFORE attempting to clear it, even if you are not a natural gas customer call 1-866-344-5463 for a free natural gas locate. What’s the connection between a blocked sewer line and a natural gas line? Utilities that use equipment to install underground infrastructure without using a trench (trenchless technology) have become aware, in recent years, that some of their infrastructure may have intersected with existing municipal sewer lines. This affects underground infrastructure including power, telecommunication and natural gas lines in jurisdictions across North America. If you, your plumber or contractor need to clear a sewer service line beyond the outside wall of a building using rotating or water jetting (flushing) equipment, it is very important that you call 1-866-344-5463 to schedule a free natural gas pipeline locate before doing any further work. If the situation affects natural gas appliances, close the natural gas shutoff valve and call Enbridge Gas New Brunswick at 1-800-994-2762. We will come to your home/business free of charge and turn the supply of natural gas off at the gas meter. A technician will turn off the natural gas service and cap the gas line outside at the meter, if required. It is your responsibility to decide to relocate your equipment. As a customer, it is your responsibility to ensure your natural gas meter and equipment are clear of ice and snow during the winter months. Ice or snow buildup can impair the operation of the gas meter. In the event of an emergency, Enbridge Gas New Brunswick or the Fire Department may require immediate access to the meter and shut-off valve. A heavy snowstorm, drifting snow or equipment clearing snow from a walkway, driveway or parking lot could bury your meter and create a hazard.